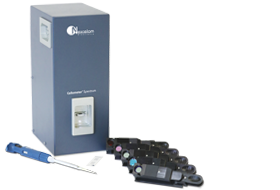 Nexcelom’s image cytometers give researchers increased control of their samples and the data generated from their cell-based assays. The Cellometer Vision CBA system requires 20 µL of sample in suspension and is a simple, quick solution for assays such as cell cycle, apoptosis, GFP transfection and surface marker analysis. The Celigo offers a plate-based high-throughput solution for adherent and suspension cells, eliminating the need to trypsinize cells and is ideal for a broad range of applications including 3D multicellular tumor spheroids, proliferation, cell line development, colony counting, wound healing, and more.ons. 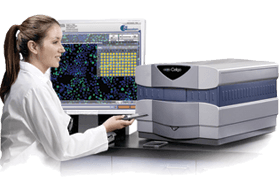 Obtain cell images, counts, size measurements and viability calculations in < 30 seconds per sample. Advanced imaging with 2 interchangeable fluorescent optics modules for simple, single sample 20µl cell-based assays with flow-like data output. A micro-well, plate-based multi-channel bright field and fluorescent imaging cytometer for 2D and 3D culture using both adherent and suspension cells.